For some bloggers, you’ve probably thought about how to promote old blog posts. You’ve probably written content that will be evergreen, meaning that the article you’ve published years ago, might have information that is still relevant, true, or up-to-date to today. The problem is that when you publish each post, it is shoved down into your post archives, collecting dust. So, how can you get attention to these? I’m going to share 12 methods to promote old post posts. Some solutions are with WordPress plugins, some with using social networks, and some are with using social media tools to help automate some of the process. With the Revive Old Post plugin for WordPress, you can schedule out times to tweet out those older posts. You can also add hashtags to add interest topics to each post. 2. Schedule old posts to be published from Hootsuite. Hootsuite.com is a social media tool that allows you to manage multiple social networks, and even multiple social handles for social networks like Twitter, Facebook, Google+, and LinkedIn. One of the features of Hootsuite is being able to schedule posts. You can strategically schedule old posts at the times your target audience is online, add hashtags, and more. They do have an affordable monthly plan as well, if you have more than one website or plan to utilize bulk message scheduling. 3. Link to other related articles in your website. Internal links are really important for your website. It serves a few purposes. One is that Google finds your other articles easier. The other, is to attract your website visitors in reading deeper into your website, which increases their time on your website, increases how many pages they’ve viewed, and possibly results in subscribers, buyers, commenters, and social shares. You should always write newer posts and keep in mind what you’ve written in the past. You never know when it could make a great comeback. 4. Reply to comments with links to old posts. It’s perfectly okay to reply to comments with a link to another of your articles, especially if the commenter seems really interested in learning more about the topic they’ve commented on. Displaying your popular posts in a widget can attract people to some of your older posts that have gotten quite a bit of traffic over time. For WordPress users, I love using the Popular Posts bar Widget. Because it’s GPL, I’m working on a fork that will improve it and even allow you to use it popular per category and change the colors. Another plugin, that is free, but will display your popular posts is – Top 10. Related posts allow your readers to read more in-depth about what you’re talking about in your blog posts. They keep your visitors on the website longer and hopefully get them to do things like subscribe to your email newsletter list. 7. Add old post to JustRetweet.com queue, and not only promote your article, but get others to reciprocate sharing your article. The basic JustRetweet.com is free, but if you wish to get reciprocation, you will need to tweet and share other articles submitted by other members of JustRetweet.com in order to build credits. You can get attention up to 3 articles every 24 hours. 8. Schedule old posts on your Facebook fan page. Facebook fan pages allow you to schedule content. They also allow you to pre-schedule content. You can put some time aside to schedule out old posts. Try scheduling 1 or 2 during your peak hours, and mix it up with a newer post, and maybe posting some related content from an outside source. This keeps your Facebook fan page looking active. 9. Create an ebook and link to old posts that are related to the ebook’s topic. Those ebooks can contain content that your visitors can click on. If your website has related content to that ebook, definitely think about linking to some of that content as you go. 10. Customize Your 404 Page and include a few featured articles. You may want to link to old guides or even some popular posts from a couple categories. 11. Customize Your Category template or use a custom widgets for your categories to feature old posts specific to that category. Don’t just display your archives. Think about having a dynamic template or setup just for each category. In WordPress, you can build a category template. Or, I like to use plugins like Widget Logic to display specific posts or content in each category. This widget would not show on any other page or category. While Widget Logic is handy, it requires a little knowledge of WordPress, so you may like Widget Options better if you’re not a little code savvy. 12. Link to a few old posts in your email newsletter. If you don’t have an email newsletter list, you should. Linking to some new and old posts can get attention back on your website. Utilize old posts to add tips to your newsletter. There are a lot of active and quality Facebook Groups. I don’t recommend flat out spamming these groups. However, if they allow you to share your posts, make sure to not just plop a link in. You should write an enticing summary that gets people to come read and interact with your blog post. LinkedIn is just one of many places you can seek republishing your articles. However, you must post relevant high quality articles, and also disclose where the original content came from. You don’t want to get the big frownie face from Google for duplicate content. Make sure your old posts are at least 2 weeks to 1 month old before re-publishing to LinkedIn or any other place. 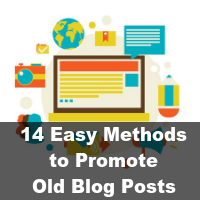 These are just a few of many easy methods to promote old blog posts. 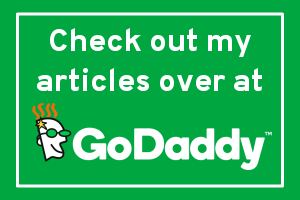 What are you currently doing to promote old blog posts? Updating and resharing old blog posts is as important as updating your blog with fresh content daily. Reshare your old posts on several social media sites such as Facebook, Google Plus, Twitter and LinkedIn can be really a great idea to promote. Email list also helps you promote your old blog posts without looking like a spammer. The best part about email list promotion is you can send as many newsletters as possible just by changing your newsletter headlines. You can also use A/B testing on your newsletters to understand which type of headlines are working well for your old blog posts. Eventually, thanks for shairng your best tips regarding this subject. I’ve been blogging for a while, I’ve got so many old contents. Why should I care? That stuff is buried deep in the depths of my blog, and no one is going to see it anyway. But after reading your article, I find, this is Important to get a better result. Thank you, NILE for sharing the useful and loving article. I’ve just subscribed your blog for future updates. Hello Nile, these 14 Methods are really helpful for me. I will really take the advantage of your this post as it is very informative. I learned a lot from you. This is nice post for promoting of old blog by this article and having nice idea here, Thanks a lot for sharing with us. This is indeed one of the best practices to promote old blogs. Nice article posted. Thank you very much! Thanks for sharing this one, i got a lot of old post right now and in the right time i got interested to this post. I will stat now add some related article in between my post, i think that would work. This is nice post for for methods to promote old blogs posts and having right way to see you here and thanks a lot for sharing with us !